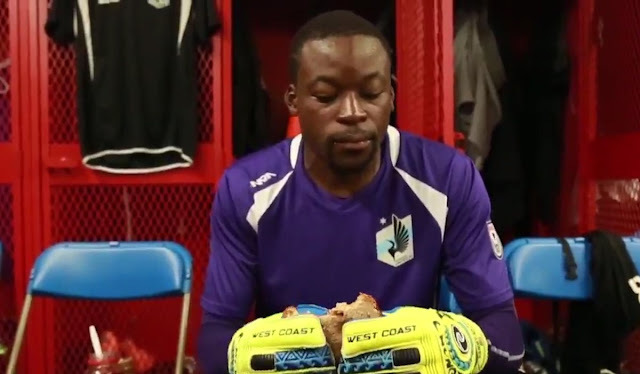 If you haven't seen it just yet, an own goal from Minnesota United FC's goalkeeper earlier this week was making its rounds around the internet as a possible contender for one of the worst own-goals in the history of the sport. Although the goal, which slipped from keeper Sammy Ndjock's hand and into the back of his own net during a friendly against English side AFC Bournemouth was in fact pretty silly, a true football fan knows that in sport mistakes such as Ndjock's do happen every once in a while and the club used the moment of madness to its advantage by releasing a pretty funny response. Hashtag "Blame It On The Jelly" (#BlameItOnTheJelly) was used with a video designed to humorously explain just what happened during that match.